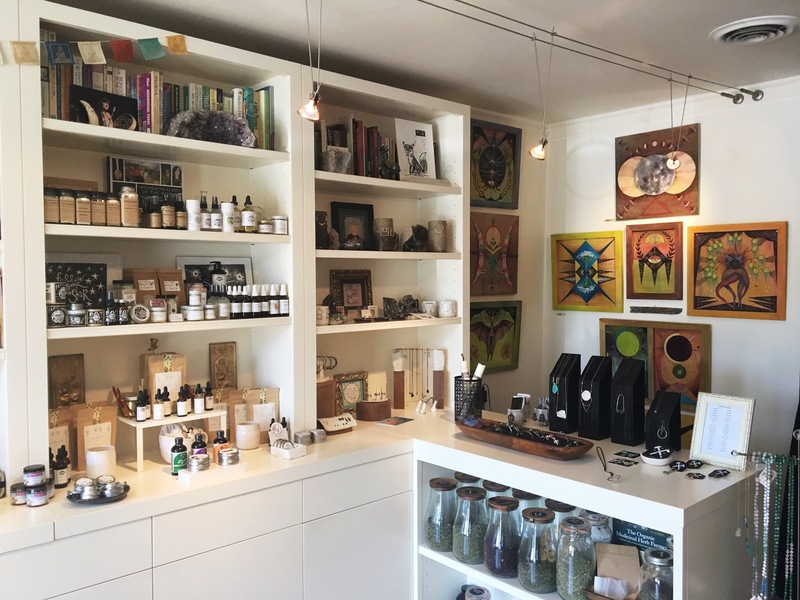 Have you been looking for a small, intimate shop that supplies amazing teas, skin care, gems, and jewelry? Then look no further than Albizia Apothecary. Located in the Riverland Terrace area of James Island, this place is a refreshing surprise. When it was suggested I check the place out I was shocked that I hadn’t heard of it before. Albizia is everything that I had been looking for in a local store. The owner, Pam Huseby, is incredibly friendly and knowledgeable. My last trip in turned into an entire afternoon of discussions ranging from current affairs, tattoos, cancer treatments, and tarot. One of my favorite things about the shop is being able to discover new items and new brands that I’d never heard of before. Pam always makes sure that I leave knowing everything I need to about an item. There’s no guess work or need for extensive research when I get home. Check out my Apothecary Haul video to see a few items I picked up on one of my visits this year. Take a look at the photos below to get an idea of everything offered and make sure to stop by when they’re open! Also be sure to check out their Instagram!